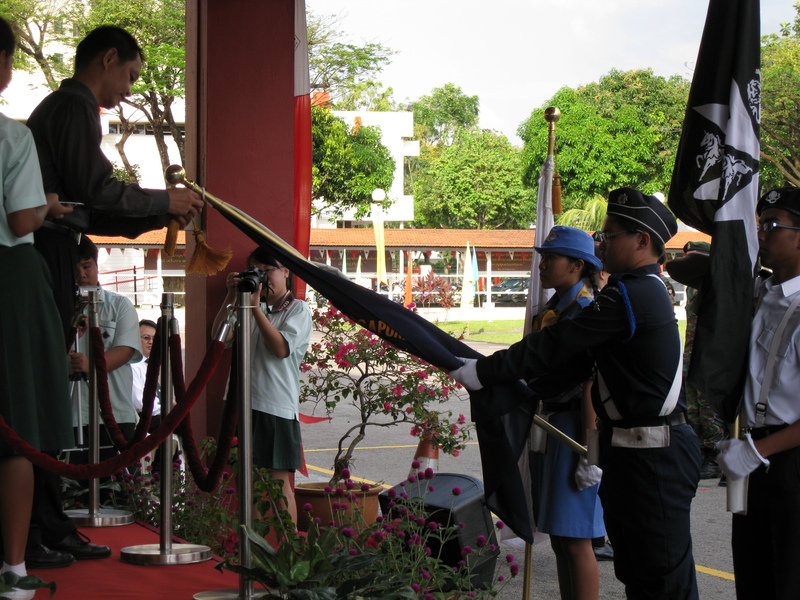 Jurongville Secondary School Annual Speech & Prize Giving Day Parade 2011 was held on 9 April 2011, it came to an end successfully after 3 weeks of vigorous and tough training under the hot blazing sun and the stormy rain despite the busy school schedules. 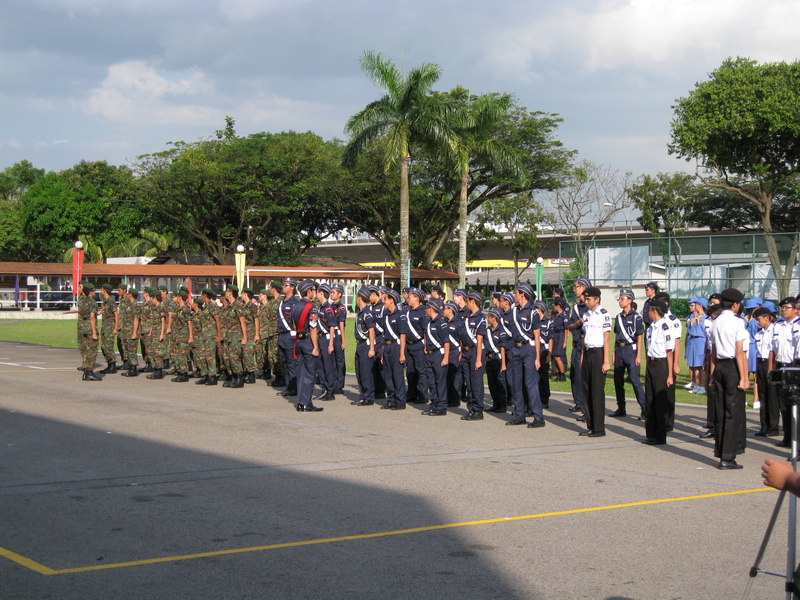 It wouldn’t be a success without the collaboration of Teacher Officers from various CCAs, HOD of CCA, the CIs who planned & executed the parade, JVS Band who provided their drummers during the regular trainings & assists in coordinating the march off of the parade and last but not least, the cadets from various CCA groups who put in their commitment and effort throughout the training period. 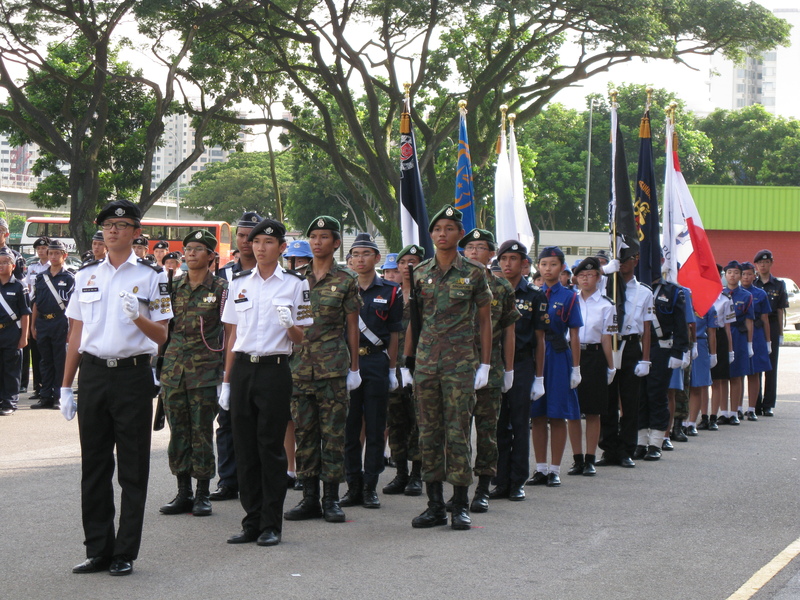 The Speech Day Parade was made of 1 contingent of GOH with Flag Party and 5 Supporting Contingent. 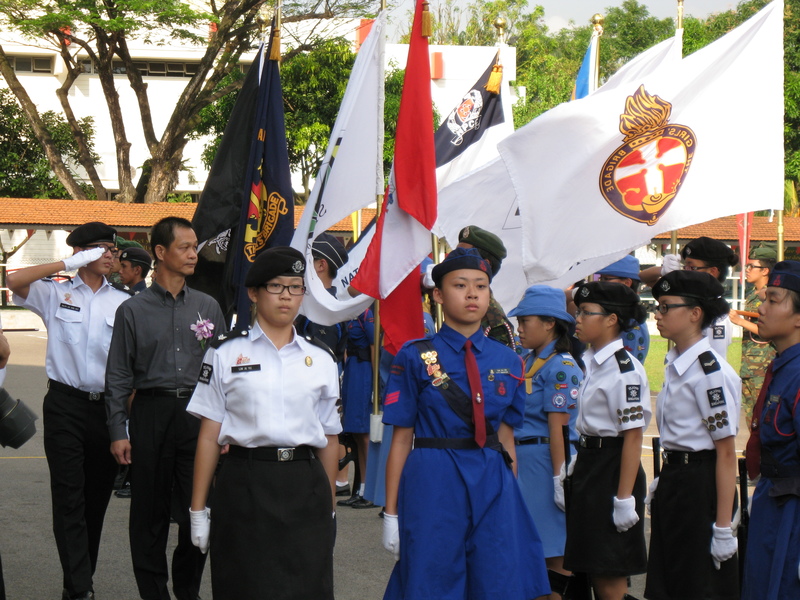 The first row of the Supporting Contingent were mainly from NCC, Boys Brigade, St John Ambulance Brigade and the second row made up of NPCC and lastly, Girl Guides & Girl Brigade. 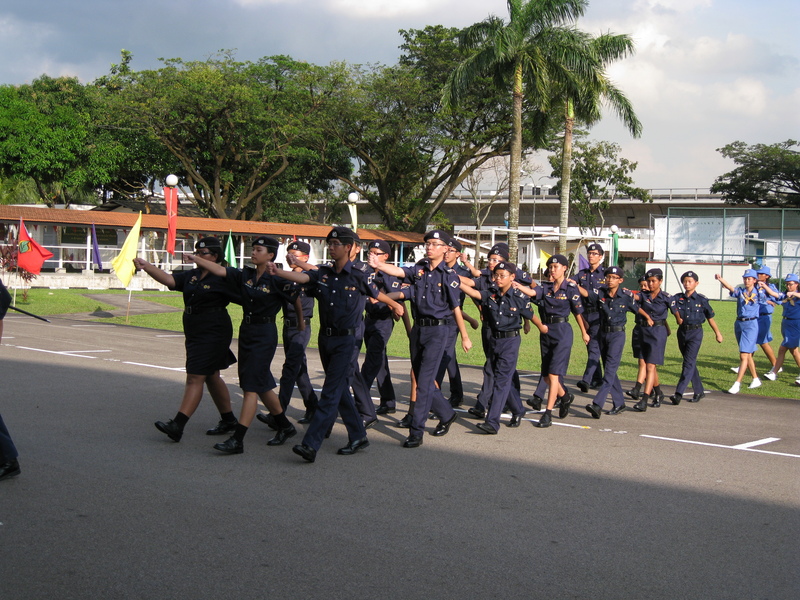 The GOH is made up of 30 cadets and also 8 flag party members from the various different uniform groups.